Our state-of-the art facility is designed to keep your produce safe and fresh. We provide total cold-chain management from the time produce arrives in our warehouse to the time it’s delivered to our your doorstep, ensuring you get the freshest, longest lasting product possible. The cold chain continues past the dock. 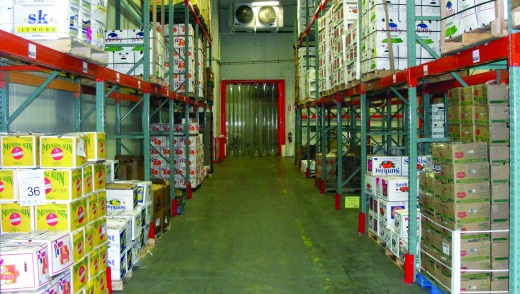 We ship our products in pre-cooled, temperature-controlled trailers to ensure freshness. Trained professionals make sure every customer is completely satisfied at the time of delivery. Our customer service team is in constant contact with our drivers, monitoring the progress of each delivery. Plus, our team of specialists will train your staff in the proper methods of handling fresh fruits and vegetables, so you’re covered even after we deliver your order.